The Ledge at Skydeck Chicago is at Your Feet-Literally. Dare to Stand Out on the 103rd floor, with never before seen views. The 1,353 feet straight down, with a glass boxes extending 4.3 feet out from the Skydeck, providing never before seen views of Chicago. Enjoy 360 degree views spanning up to 50 miles and 4 states. The new, multi media elevator ride gives visitors one of the fastest in the world, while referencing points of interest that match the ascending height. 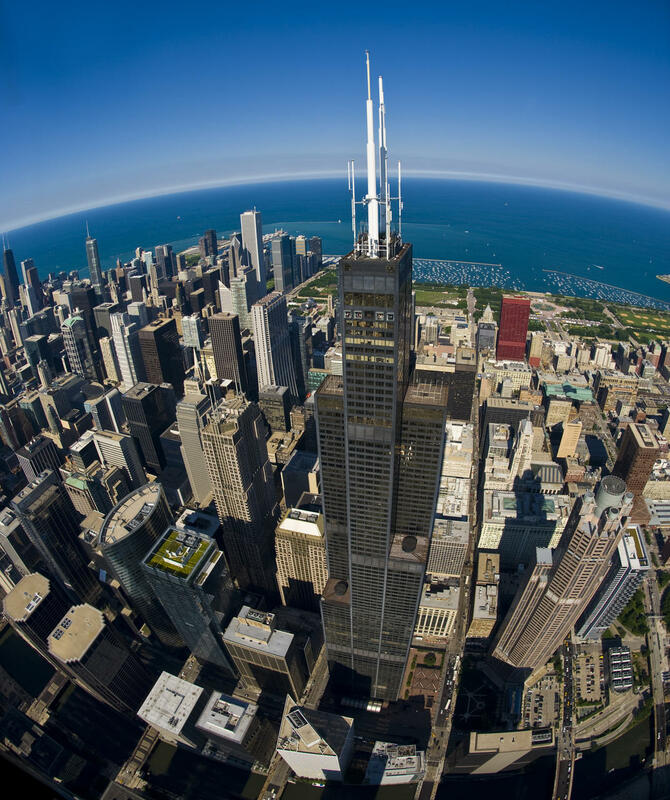 Atop the tallest building in the Western Hemisphere, Skydeck Chicago is a "one stop Chicago" experience featuring museum quality interactive exhibits. Open daily. 9-10pm March - Oct; 10-8pm Oct - February. Multi language maps available. Groups of 20 or more receive discounts. Hours of Operation: April - September 9am-10pm. October - March 10am-8pm. Last entry 30 minutes prior to close.